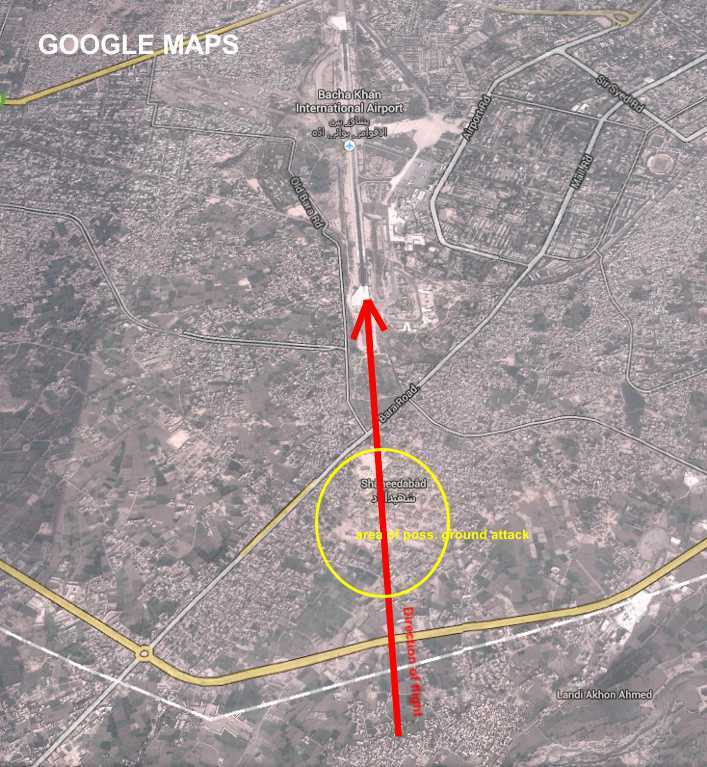 The scheduled passenger flight was on final approach to runway 35 ta Peshawar when the aircraft came under ground fire. Dozens bullets punctured the hull at the right side and entering the passenger cabin. <br>A female passenger, sitting on seat 59J, was fatally injured when a bullet hits her head. Another passenger and two flight attendants received injuries some of them serious. The pilots were able to continue the approach and made a safe landing. <br>The airport of Peshawar was immediately closed after the event. <br>According to airline staments and local police 12 bullets were fire on the aircraft when the flight was about 3 – 3,5 miles south of the airport close to the small town of Landi Akhund Ahmad . The attackers were able to escape.